‘A Paradigm Shift’, ‘Beginning of a new era’, ‘Shifting the goal post’ and many other such joomlas’ are the absolute favourites we PR people love to use to describe a milestone achieved by our clients. To describe their epic win to handle the entire Tata group business India’s largest PR agency, Adfactors PR, will just have to coin another term. If industry reports are to be believed this mandate will help the agency breach the Rs. 200 crore billing mark, putting it way ahead of the sum total of the other top five PR agencies in the country. The organised PR agency business in India was born in the nineties with a good mix of home grown and multinational agencies setting shop. This could be credited to the liberalisation process embarked by the Narashima Rao government, and the vibrancy experienced on the Indian bourses. O&M PR, (Ogilvy PR) was probably one of the first PR agencies in the country followed HTA’s IPAN. The PR consultancy business was strengthened by desi agencies set up by communication professionals and ex journalists. The ex corporate communication head of Essar, N.S. Rajan, founded Sampark in Mumbai while erstwhile deputy editor of Business India magazine, Dilip Cherian, set up Perfect Relations in New Delhi. Clea Advertising, which changed the face of the then staid and statutory format of financial advertising relied on for PR as an integral tool in the communication mix for its clients. The consolidation process we witnessed with the advertising agencies in the nineties was replicated in the PR consultancy business in the first decade of the new millennium. Hanmer, went with MSLGROUP, Genesis with Burson Marsteller, Sampark with Ketchum to name a few. However, Adfactors did not attempt to join the flock. In the same period, instead of going on a consolidation mode, Madan chose to expand. Moving into a swanky office much larger that their needs, to setting up their own international office in Dubai and Sri Lanka. The gamble paid off and even before the Tata mandate came their way, they emerged as the largest PR agency in terms of billing, people and number of own offices. This is probably the key that tilted the Tata decision in their favour. Over dependency on one client has always proved to be a huge risk in any business. In the eighties, giant advertising agency Grant Cannon had to close shop when it lost its biggest client Colgate. It would be hence imperative for Adfactors to continue on the growth trajectory, and my guess would be that this growth will have to come from a mix of organic growth and acquisitions. Also the management could strengthen its’ other existing verticals, like digital offerings, advertising, IR and content apart from foraying in other related business. Despite popular belief, that there would be a mass recruitment in Adfactors to service this mandate, I do not see this happening. The existing size of the agency on all parameters with its current bench strength is what gave them this account even without a formal multi-agency pitch. Wholesale recruitment would be the wrong optics. Sure people will be added and teams strengthened but it will happen in phases. If the past is any indicator to the illustrious journey of Adfactors PR, the future paints an interesting picture. There will be a huge churn in the industry dynamics which is always good in the long run. Can we expect the first IPO in the PR business from the ‘Masters of the Game’? Only time will tell. 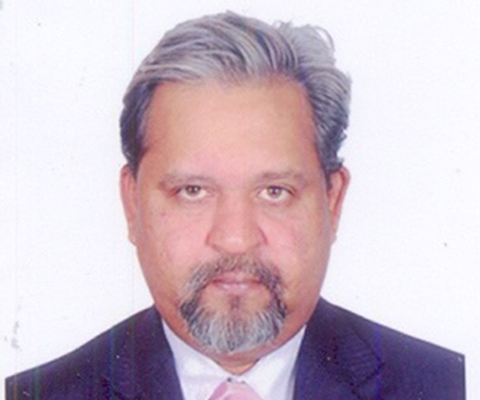 Sanjay Rammoorthy has been an integral part of the India media industry for over two decades and has been associated with media giants like Ananda Bazar Group, Business India Group, Mudra Communications, Ogilvy & Mather, ZEE News, Sahara India Television and Sampark Public Relations. As a television journalist Sanjay has extensively covered various state and general elections . Sanjay now runs a PR & Content company – Aurum Media.